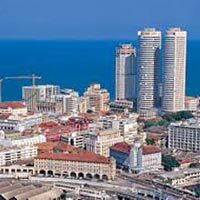 Arrive at the Colombo Airport where you are going to meet meet our representative. Begin your road journey towards Dambulla en-route Pinnawala. The Pinnawela Elephant Orphanage began with only seven elephant orphans. Today some of these orphans enjoy the fortune of seeing their grandchildren born in the same location. Once you reach Dambulla, move into the hotel to spend the night. Enjoy sightseeing in Dambulla today. Proceed to Kandy via Sigriya. En-route visit Nalanda Gedige. The first spot is Dambulla Rock temple. It is a UNESCO world heritage site. Next in line is Nalanda Gedige, a perfect blend of Buddhist and Hindu architectural patterns. Walk around the frescos of the Sigiriya Rock Fortress, located at Sigriya. Arrive at Kandy and move into your hotel. Retire for the night. Post breakfast, visit tourist hotspots in Kandy and Peredeniya on the way to Nuwara-Eliya. During the city tour, you are going to drive alongside the Kandy Lake, are going to attend a cultural performance. Later you are going to cover the arts and crafts centre, the Temple of the Tooth Relic and the Gem museum. Do not miss covering the imposing Royal Botanical Gardens that are at Peradeniya. Check in at a hotel in Nuwara-Eliya on arrival and relax. Explore Nuwara-Eliya and proceed to Colombo via Kitugala. Nuwara-Eliya is an extremely popular hill resort of the country. Next in line is a visit to the tea plantation region. The Kelani River is the broadest river in Sri Lanka where the Oscar winning movie "Bridge on the River Kwai" was filmed. Night halt at Colombo’s hotel. 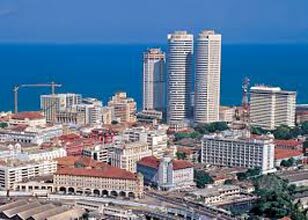 Have your breakfast and get transferred to the airport of Colombo for boarding the flight for your onward journey.